An expensive bottle of bubbly…. Sometimes only Champagne will do: when celebrating a big occasion like an engagement or wedding or as the clock strikes midnight on New Years Eve. Billecart Salmon’s Vintage 2004 Champagne* is a blend of 70% Chardonnay and 30% Pinot Noir, 20% of which was vinified in oak, and is the bottle for just such an occasion. Right now it is tasting crisp and fresh but with a nod towards its ageing potential in a tasty lemon biscuit sort of way. I’d be inclined to get a bottle now and drink it next year because I prefer my Champagne with a bit more age. But at this stage in its youth I’d say this vintage is just what you need to waken your palate at zero hundred and keep dancing into the wee hours! Click to read more... Comments Off on An expensive bottle of bubbly…. 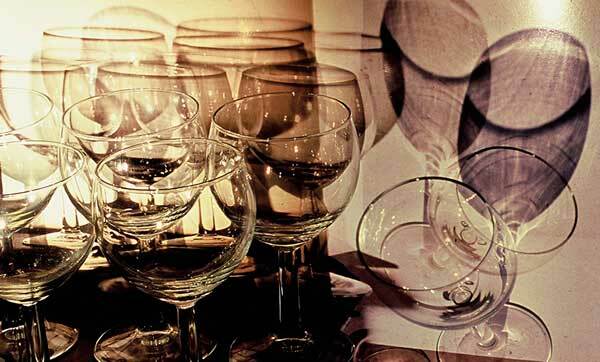 Wine gifts for under the tree…. 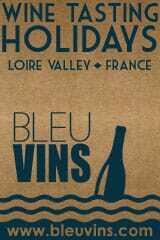 [In song] On the seventh day of Christmas my true love gave to me some wine gifts for under the tree…. Stuck for a comedy Secret Santa gift for your office pals or fancy jollying-up your festive wrapping with some funky gift tags then look no further. Knockkockstuff.com have created a whole new way to present that bottle of wine you take to dinner parties this Christmas with their Drink This Wine* gift tags which are also a great stocking filler for the wine lover in your life as well as a handy reminder for any serious oenophile you know not to take wine too seriously. Beautifully packaged they put the fun into functional. Click to read more... 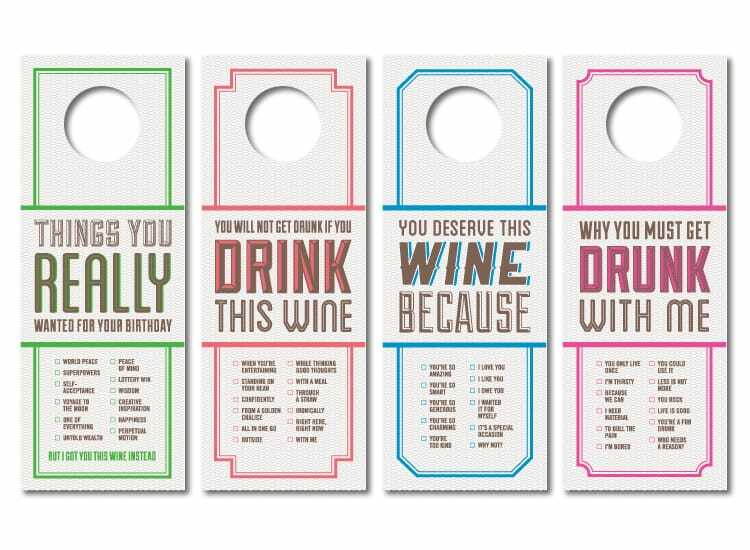 Comments Off on Wine gifts for under the tree…. The definition of affordable luxury…. On the sixth day of Christmas my true love gave to me a Harvey Nichols red, how fancy! Q. What do you get when you cross one of the UK’s favourite red wines with a British fashion institution? A. A lust-after bottle of Argentine Malbec from Harvey Nichols. As you’d expect, Harvey Nichols Malbec 2012* has been exclusively produced and is made from grapes grown in the Valle de Uco to the south west of Mendoza at around 1,000 metres above sea level. The height means the grapes get long, sunny days to ripen and chilly nights to lock in that flavour which helps to produce intense and fruity wine that’s full of character, layers and style. It’s thought that part of Malbec’s popularity over here is down to it’s ease of pronunciation….. but surely it’s down to it’s charm, mouth filling texture and flavours. This one is as deep in flavour as it is in colour which is fitting for Malbec’s meaning which derives from the spanish term mala boca meaning “bad mouth”, a reference to the colour your mouth is left with after a glass or two! Intense in colour and flavour this one is pleasingly ripe and juicy with liquorice, melted chocolate, plum fruit and coffee characters on the nose; violets, red cherry and vanilla, ripe berries, cocoa, mixed spice and ripe tannins on a long rounded finish. Drink it with an alternative Christmas dinner of beef or game or gift it to a friend that has everything… or who thinks they do, this is the definition of affordable luxury. Click to read more... Comments Off on The definition of affordable luxury…. [In song] On the fifth day of Christmas my true love gave to me a robust red to help charity…. When Christmas shopping has drained you of all hope, good will and money you might be left feeling deflated by excessive consumerism and in desperate need of a drink! Piggy Bank wines have been designed to help you on both fronts. 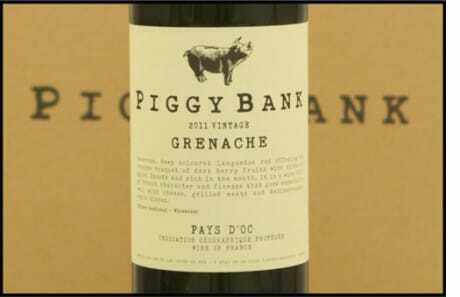 Piggy Bank Grenache 2012* from the Languedoc in the south of France is not only a great party wine that would go down well sipping while you chat, with canapés and nibbles (piggy’s in blankets?!) or with a festive gammon or beef but is also jam packed with the feel good factor. For every bottle sold wine importers Guy Anderson Wines donates 50p to one of three chosen charities. Each Piggy Bank holds £10,000 and when it’s full the money raised is distributed between the charities based on the number of votes cast for each one. At the moment they’re raising money for Meningitis UK, Wateraid and the Royal National Lifeboat Institution. The wine itself is fruity and moreish, layered with fruits of the forest and cocoa characters and a hint of Christmas cake! Try a bottle for yourself and you’ll see there’s generosity in every bottle! Click to read more... Comments Off on Charitable Christmas wine…. On the forth day of Christmas…. 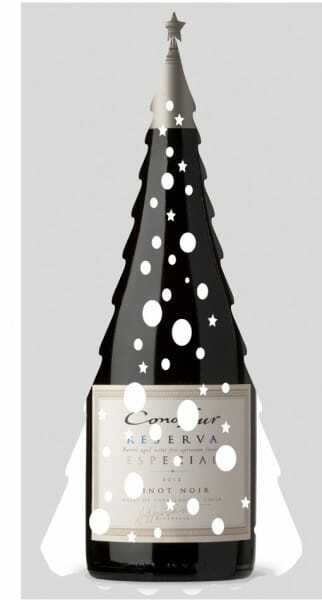 [In song] On the forth day of Christmas my true love gave to me a fruity Pinot Noir from Chile…. 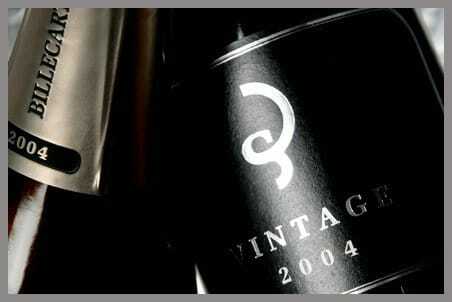 When done well Pinot Noir is as good with food as it is to gift to a wine lover and a decent one will always impress. It’s a classic red to serve with turkey but insipid and dry leathery ones from Burgundy won’t cut it: no, to go with turkey and all the trimmings you need to find one with some body, layers, fruit and complexity. Chile is the place to turn to for reliable and often excellent value for money Pinot Noir like this one from Cono Sur. It’s a Reserva which in this case means it’s been aged in oak barrels for 10 months which has given the wine an extra dimension and added intensity. It’s made from grapes planted in the coastal influenced part of the Casablanca Valley, 75km or so north west of Santiago, which is very much a cool climate area but has lots of sunshine to ripen the grapes fully. Cono Sur Reserva Pinot Noir 2012* is a heady example of what I’d like to see Burgundy producing more of. It’s full of fresh brambly fruit characters, light spices and some earthiness and has a smooth texture and enough oomphto stand up to even the best bits of Christmas dinner like pigs in blankets, stuffing, bread sauce and gravy. Click to read more... Comments Off on On the forth day of Christmas…. [In song] On the third day of Christmas my true love gave to me some Chardonnay, a favourite Aussie…. Click to read more... Comments Off on A favourite Aussie….